It’s astounding how much time and effort goes into a successful wedding. However, it’s all worth it since it’s an incredibly special occasion. From finding the venue, to picking flower arrangements, to your food choices, you have a lot on your plate to get through. 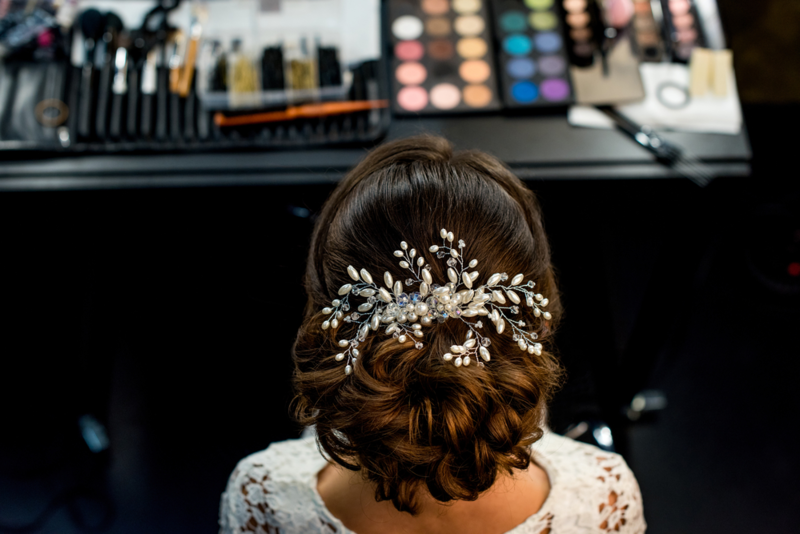 One of the most important last details for the bride and bridal party is hair and makeup. There’s a general order to it all and as your wedding day gets closer, you’ll be shifting focus onto the very last details you need. Those last details are usually your hair and makeup for “the look” you’re wanting to achieve, not just for yourself but for your bridesmaids too! We offer a variety of services so we can help you achieve your dream wedding look! Define your look. If you have a clear image of what look you’re going for, you can go ahead and get your hair and/or makeup done the day of the wedding with our regular bridal party services. Need a little help? Maybe you can’t visualize what you want or what you want for your bridesmaids? Well, then you can choose our hair and/or makeup packages which include a trial run so you can see if your idea is what you really want. Try and try again. You don’t have to stop at just one hairstyle or just one makeup look, you can also add on additional trials so you can make the best possible decisions! Play around and find what services will best work for you and your supporting ladies. While we can’t help you decide who’s invited or what flavor cake is best, we can certainly help you find your dream hair and makeup combo to help you can look stunning for the big day! Make your appointment today at Voga Salon. Find us at 13357 West 135th in Overland Park or call us at 913.685.1832 to book your bridal package today. In the meantime, you can manage your regular hair and makeup appointments on our free mobile app, available on iTunes or Google Play.